Thank you for your interest in bringing a group to campus. 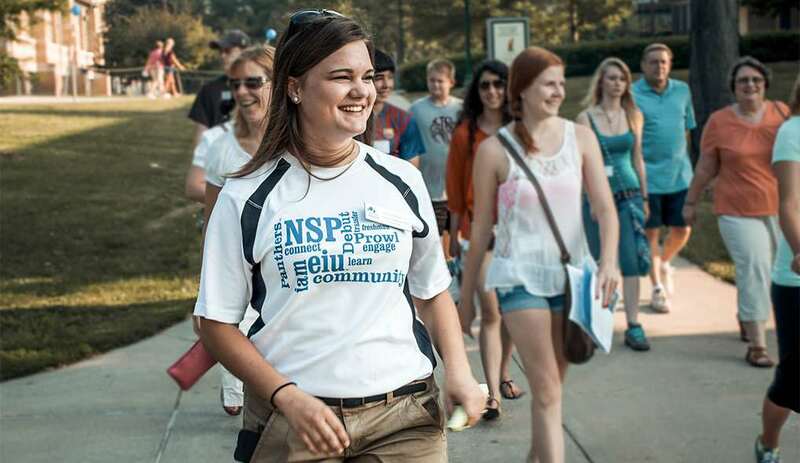 We are excited to offer large groups an admissions presentation and walking tour of campus. Please read the guidelines below before submitting your group tour application. Group Tour applications need to be completed a minimum of three weeks in advance so that we are able to best serve your students. Arriving late will impact your scheduled group visit. Arriving 20 minutes late or more can result in a canceled or abbreviated tour. In the event that your group visit is canceled, please let us know at your earliest convenience. Please note, we cannot accommodate groups that arrive without notice. Once your application is received, a representative from our Office will follow up to approve the availability. For questions concerning your group visit, please contact our Visit Coordinator, Molly Button, at mmbutton@eiu.edu.